In 2010, inspired by his studies and always on the hunt for new sounds to utilize, Philadelphia-based guitarist Trevor Gordon Hall collaborated with various builders to redesign an instrument called the kalimba (African finger piano). He designed a version that sits flat on the top of the guitar and spans 2 octaves of the piano. 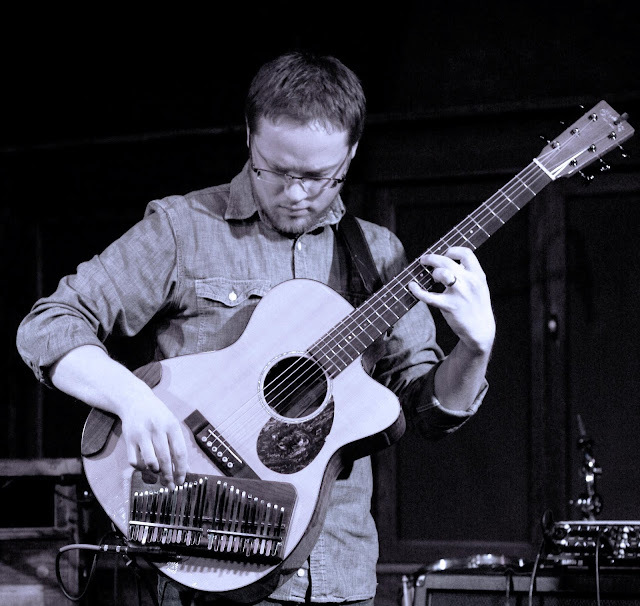 The instrument combination, which Trevor calls the “Kalimbatar”, is opening up new possibilities for solo instrumental music. 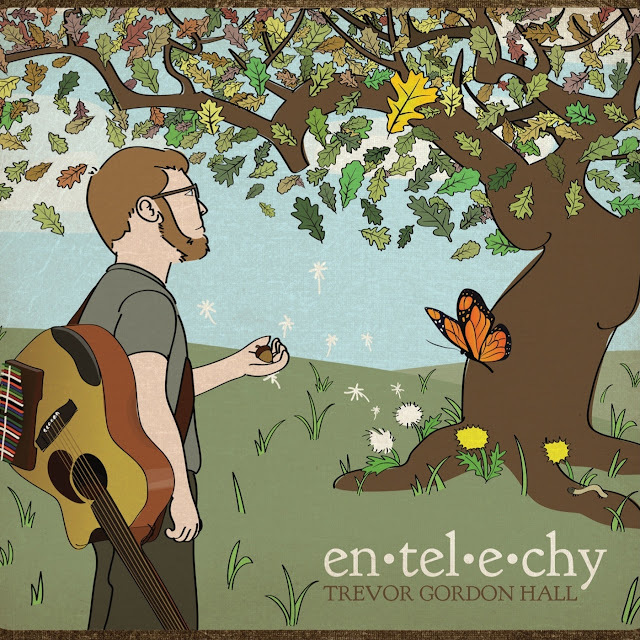 Compositions inspired by the pairing of the two instruments were first introduced in previous releases but fully realized in Trevor’s Candyrat Records debut Entelechy. 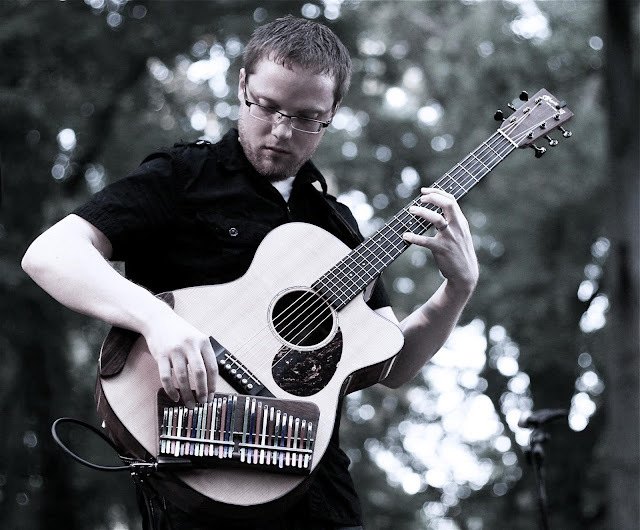 In preparation for his latest album, Trevor redesigned and fine-tuned the Kalimba/Guitar combination with the help of master luthier Sheldon Schwartz. 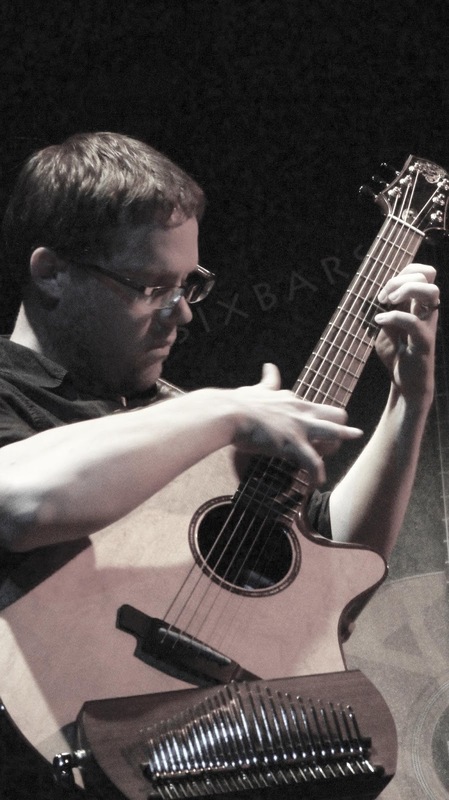 Trevor recorded with his new instrument at Imaginary Road Studios in Windham County, VT, during the summer of 2014. This was a unique experience as Trevor got the opportunity to record with producer Will Ackerman (founder of Windham Hill Records) and engineer/production master Tom Eaton. 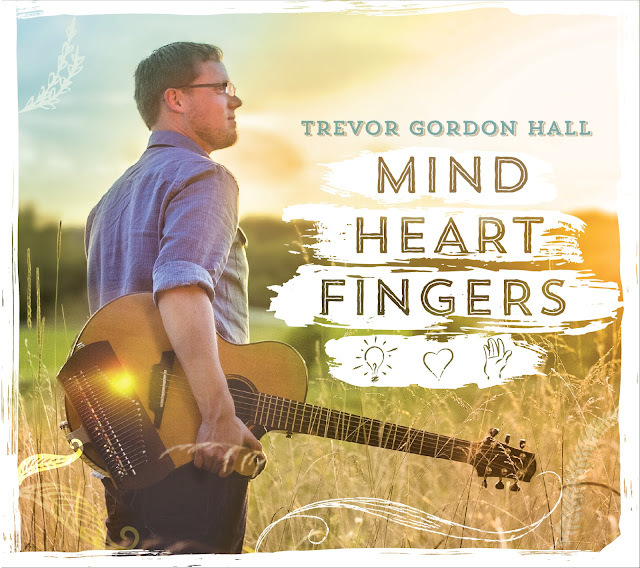 Trevor’s music is continuing to win the hearts of fans and major industry professionals ranging from Graham Nash (Crosby, Stills and Nash) to Steve Hackett (Genesis) to Will Ackerman and many more. He is signed to CandyRat Records and has recorded with grammy winning producer Joe Nicolo (James Taylor, Billy Joel, Bob Dylan, etc.). 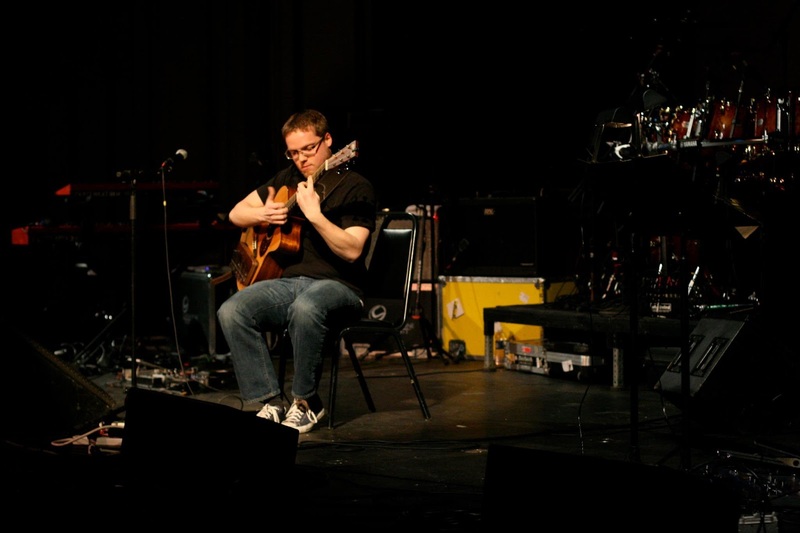 Trevor has had the privilege of sharing the stage with a wide range of artists including: Pat Martino, Phil Keaggy, Don Ross, Michael Manring, Andy Mckee, Alex Skolnick, The California Guitar Trio, Billy Cobham, Michael Chapdelaine, between others. Rated as one of the top 30 guitarists in the world under 30 years of age by Acoustic Guitar magazine, Trevor draws on his education in Philosophy and Theology in his dedication to expressing ideas and inspirations through music, and his focus on composition guides listeners through an igniting experience of music that isn’t just heard but felt. Growing up my Mom had a lot of different music playing in the house. Everything ranging from Bach to Windham Hill artists. I remember being a kid and loving the feeling I would get from hearing those sounds. I also remember watching movies and going to the piano to try and figure out the melodies by ear on the family piano in the next room. 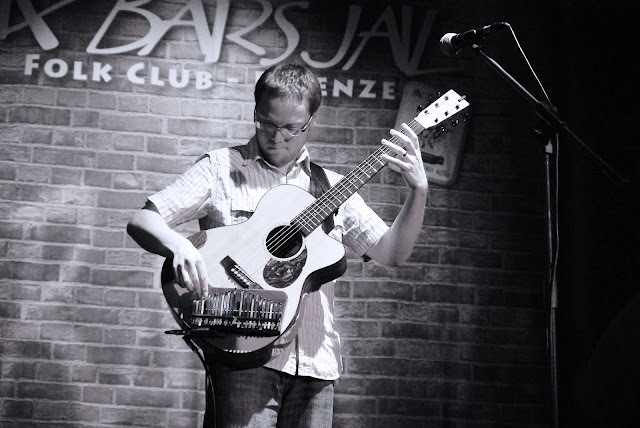 I think the experience of seeing or hearing something, sparking my imagination and hearing something in my head, then working that out with the fingers on an instrument is something I have never grown out of. And I hope I never do! 2. What are you listening to most recently? I just got jazz guitarist Julian Lage’s new trio record “Nocturne” and am really loving it. I have been on a Brian Wilson kick so listening to various Beach boys and his solo stuff. I think he is one of the true greats. “Pet Sounds” really has an effect on me even today. Sometimes with my baby daughter we will sit and listening to old jazz ballads or classical pieces together. I am always listening to Pat Metheny in some way as well as The Beatles. They stay in heavy rotation! Each time I sit down before I start practicing and plan out what from that list I will work on that day. Then that list will change every day so it doesn’t feel stale. I typically do 10 mins for exercises and 15-20 for other pieces etc. If I am working on something and I get into the zone I just keep going with it until I feel the desire to keep going dies down. That’s usually the point where most guitarists put the guitar own for a while, but then for me I just hop back into whatever is was is next on my list and keep going. I am becoming more and more convinced that true growth as a musician, and everything in life, comes in spurts, but daily work prepares you for those growth spurts. So I don’t kill myself like I used to but try to set goals and achieve them. Making progress keeps the will alive and the muse happy. 4. What's the relevance of technique in music, in your opinion? Technique for me is so important. Mostly because I feel I am always lacking in this area. I have written maybe 3 pieces in my life that were in my present abilities at the time. Most of the time I compose way beyond my abilities then have to work hard practicing and problem solving to pull off the ideas I have already set before me. This is constantly making me aware of my technical short falls and forces me to find new ways of getting things done on my instrument. So I practice technique a lot. With that being said technique is only a means to an end. I want to fully express whatever it is that inspires me and that’s the most important part. Technique is the vehicle that allows that to happen but it is not my goal. In proper perspective technique should always serve the music NOT the other way around. 5. Why do you need music? Can we live without music? Music for me has and I think always will be autobiographical. What I am reading, learning about, processing internally, listening to etc. seem to come out in music. For me it is a meeting place for all the different parts of my life to have an interesting dialogue and inform each other. If I didn’t have music it might be something else but I think it would have to be something in the arts. We can live without music but it would be like a world full of gray without color. Music brings a certain vibrancy to life that few things can for me. 6. Tell me one impossible project do you like to realize? 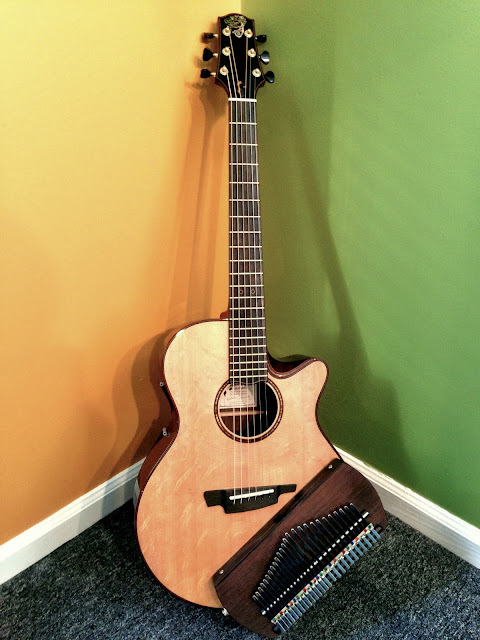 I designed an instrument called the Kalimbatar which is basically a version of an african finger piano and an acoustic guitar. That project was very difficult from finding someone to help me construct it to coming up with a logical note tuning layout, etc. The whole process was hard but something inside me kept me focused on carrying it to the end. 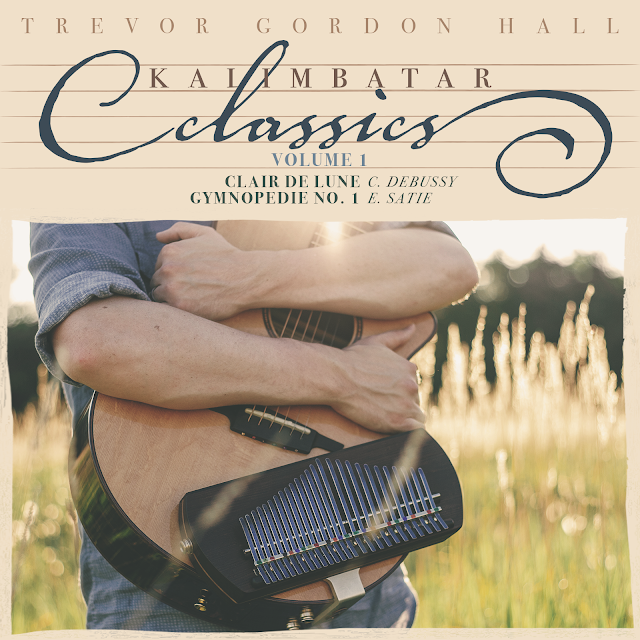 After it was done I wanted to see what possibilities there were for the instrument so I took a few years to arrange “Clair de Lune” from Claude Debussy for the Kalimbatar. By far the most ambitious thing I have ever attempted. Seemed impossible the whole time. Still feels that way now! 7. 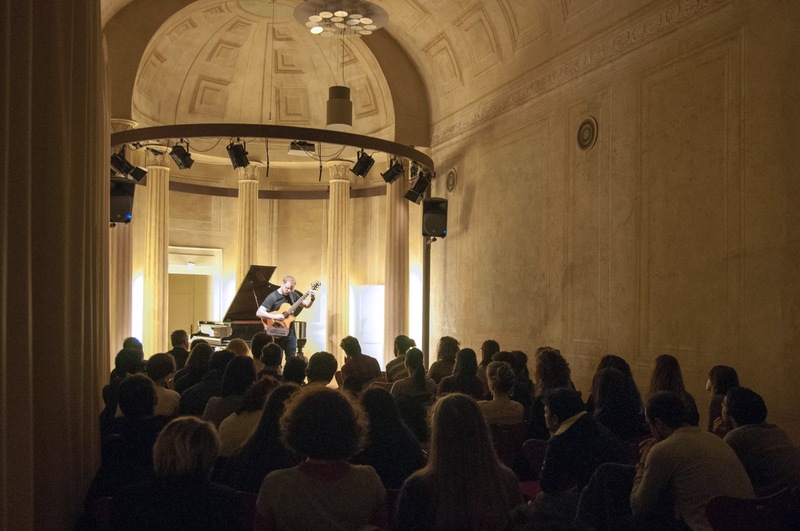 What are the challenges and benefits of today's digital music scene? Times have changed A LOT in the music business with everything going digital. I have talked to many people who have watched their incomes in the music business dry up because people don’t purchase music like they used to. There are many horror stories of people leaving the business and them screaming the whole thing is imploding, get out while you still can, etc. But for me I started my career in 2008 when the whole world economy was in trouble and all of the troubles in the music business were coming to light. So I don’t have any experience of what it was like in the previous music business model. All I know is what we have today. All I know is its really hard but good content should always be focused on more than the present music distribution method. I have seen growth in my own career every year so for me its tough but working out. For those who had careers before and now have been blind sided with the current music business climate I totally understand that, but I never knew that model so I can only work with what we have now. 8. How do you feel listening to your own music? Are you still looking for your sound? As I said before my work is very autobiographical that spans from everything including, religion, theology, science, philosophy, personal growth, ultimate meaning etc. All of these are the underlying structure of my work so when I listen to my music its like reading an old journal. I remember what I was thinking about at that time and it sort of keeps me anchored in the process of who I was, who I am and who I am becoming. I am always trying to dig deeper to find “THE SOUND” but for me I think what I aim to do is be adventurous and accessible. I want to try new things that keep me feeling fresh and ambitious while making sure I don’t get too carried away that only myself or musicians can dig what I am doing. It’s important to be accessible. I love melody and try to make that a central piece of my work so anyone can enter into it whether musician or not. Adventurous yet accessible, that’s my goal, that’s “THE SOUND” and that keeps me moving forward. 9. Where are your roots? What are your secret influences? I grew up listening to Bach, George Winston, a lot of acoustic guitar music, Michael Hedges, Phil Keaggy, etc. Then got into a lot of punk rock, heavy metal, then jazz, fusion, folk, new age, world, singer songwriter, etc. I have all of these influences in there somewhere and they keep growing. I really still pul from the deep well of Michael Hedges. He really affected me. I love reading philosophy, theology, science, politics, basically any interesting idea can ignite something musical. It’s important to be open to life, but the older I get I am realizing how being “too open” can be crippling. I just don’t have time to investigate anything and everything anymore. I am starting to choose a few things I want to investigate and dig deeper into those. Maybe that’s just what comes with turning 30! 10. What quality do you most empathize with in a musician? Vulnerability for sure. Music is a very revealing thing about a person, I think. The most important thing I listen for in music is that something real, something human, something honest is being expressed. I love the raw tension from great singer songwriters. The whole “3 chords and the truth” thing is pretty accurate. Sometimes thats all you need. But because my work is so tightly tied to my existential questions I really deeply respond to musicians that express from that place in themselves. Being vulnerable is a huge risk but one always worth taking in the arts I think. That old saying “What is most personal is most universal.” I think that’s so true. That really affected me and to this day I think about it a lot. He had lots of great wise things to teach me that I still follow religiously. 12. What instruments and tools do you use? got a few new Digitech Polara reverb pedals that are blowing my mind. I have some Mooer effects pedals. Always trying to tweak my live tone but currently I am very happy. I just switched over to light gauge strings and the new Daddario nickel-plated phosphor bronze strings. They sent me a few sets to try last year before they hit the market this year and I was on the fence for a bit but now I have been won over and I think they are just awesome. I recently finished an all electric guitar/electronic album and am very excited to get that out. I try follow inspiration wherever it leads. 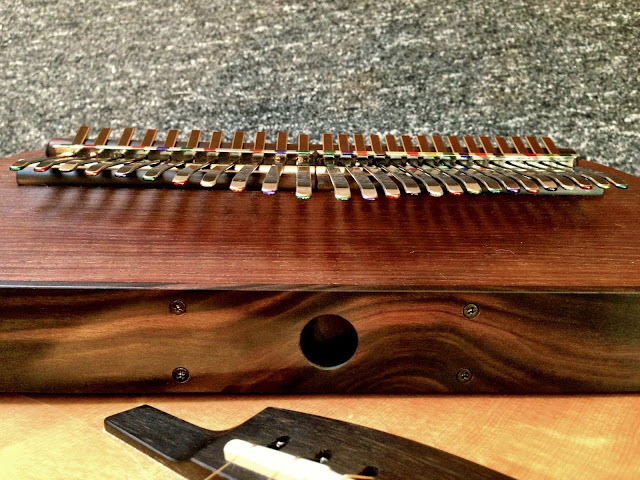 I am working with a company to bring the Kalimbatar to the market so working on that, some tour dates in USA and overseas coming up. Just trying to stay busy. Head in the clouds and feet on the ground!